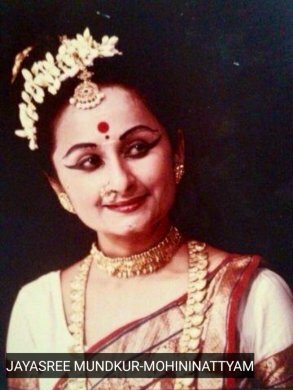 Kalanidhi Narayanan (1928-2016) - 'Maami' to one and all - has been a legendary figure in Indian classical dance. 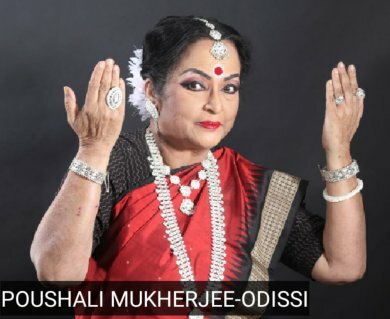 An early non-devadasi girl to learn the dance form and showcase it on stage in the 1930s and 1940s, she had a brief performance span in the 1940s; but her return to dance in 1973 after 30 years and a full married life -- to become the most notable teacher of abhinaya - was nothing short of phenomenal. She had trained more than 1000 students in her cherished art of abhinaya till she was alive. Her sporadic, yet much sought after appearances in Delhi for lec-dems at India International Centre or intimate soirees at the Defence Colony premises of Jamuna Krishnan, the Bharatanatyam exponent and aesthete, would be the most cherished moments with 'Maami' recalled by this critic. 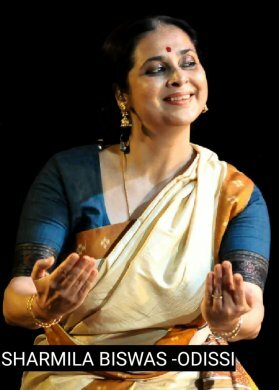 Nandini Sinha, a disciple of Kathak guru Vijai Shankar Maharaj of Varanasi - whom the dance world has just lost -- executed a vigorous Kathak abhinaya covering the whole stage, to a Bengali song by Ananda Gupta, Prathama milane..., and then to a thumri, Fulaya binane aa gayi ri... Debamitra Sengupta, an early student of Sutapa Takukdar and later groomed by Sanjukta Panigrahi, executed an Odisi abhinaya, Hari, chaliye fula bane... in raga Vrindavani Sarang, Ekatali. 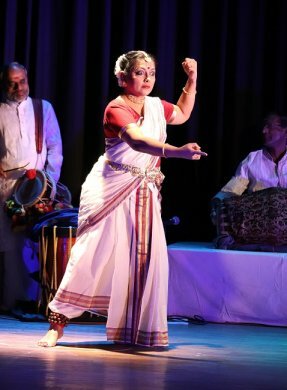 Jayashri Mundkar, a very senior dancer, originally trained by guru Thankamani Kutty and now based in Bengaluru, gave video presentation of a Varnam by her three students to a Swati Thirunal composition in raga Yadukula Kambhoji, adi tala. This was more in the spirit of a lecture-demonstration. 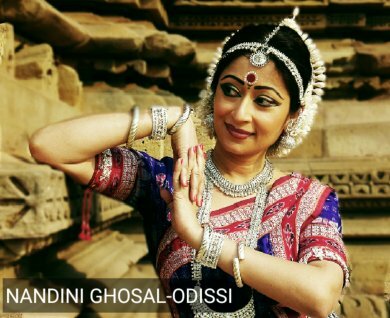 Rina Jana, a senior Odissi dancer, followed with an excellent Jayadeva ashtapadi from Gita Govinda, Ramyati Jamuna plina bane... with music set by Dr. Subas Pani. Suchitra Mitra, now based in Chandigarh came next with a padam in ragam Hussaini. The song described a vipralabdha nayika, but details were not very well etched. 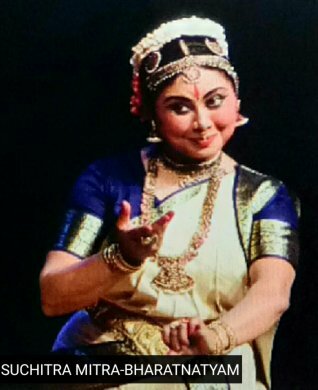 But the finale by Sharmila Biswas, a noted Odissi exponent, depicting Yashoda's Ramayana, was a virtual tour de force. After giving the viewers the perspective as to how Yashoda, as a mother, molded the story of an epic to suit the understanding of a toddler, she launched a marathon story-telling session in the most eloquent mimetic action. What distinguished her was her discarding the heavily made-up doll-like costumes of a classical dancer and instead, wrapping herself in a workaday sari and remaining absorbed in narrating the tale to which the baby listener could interject his frequent comments! What was most eloquent was her effective handling of a child's psyche: with much scolding and coaxing, marking a no-nonsense carrot-and-stick approach. Yet, not to forget the divinity of her listener, there was the child's half-conscious recollection of "Saumitra, my bow" - as if in a dream - to remind the audience that here was another incarnation of Vishnu's, just like that of Rama in a previous epoch. It was a master-stroke! Supporting rhythm by Harman Khuntia, narrative by Vijaykumar Barik and music by Sujan Chatterjee were excellent. 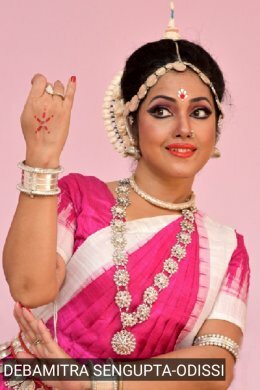 Presented at ICCR Kolkata on March 25 and 26 by Natyanova Performing Arts Centre in collaboration with Kri Foundation and Sparsh Studio, this was a two-day gala with workshop, seminar, guest performances and Natyanova repertory's new production. Bharata's Natya Sastra around the 2nd century had described bhava and rasa in performing arts, but it was left to the insight of Kashmir's Shaiva philosophers who analysed the Rasa Sutra with philosophy and literature and it was Abhinavagupta among them who had elaborated Rasa theory with clarity. Indeed, the Rasa Sutra provides an underlying unity in all Indian art forms. On the first day, Mohana Nartanam - extolling the beauty of the graceful style of Mohiniattam - was presented by Natyanova under the directions of its artistic director Priyadarshini Ghosh and repertory director Mohana Iyer, leading a troupe with six dancers in all. Depicting the battle between Vishnu and the demon, Madhu and Koutava, the dance-drama showed how the four Vrittis (professions) were born. Out of them, Kaishiki (related to hair) was the first, which concentrated on composing many styles of coiffeur to be blended with different Angaharas of the torso. Again, Kaishiki had four Udvasas (manifestations), but the performance stopped only after depicting the first Udvasa, where the nayaka exposes himself without revealing his identity. The combinatorial beauty of swaying and undulating of the body by multiple Mohiniattam dancers was fascinating to watch. Dance of the Birds that followed was easily the evening's most captivating item. In essence, it was a collaborative performance with Bharatanatyam by Rama Vaidyanathan (with her group of three very competent young artistes: Jaya Seal Ghosh, Sayani Chakraborty and Pritam Das) and an expert audio-visual commentary by dance scholar and bird lover, Arshiya Sethi. Rama's compelling choreography depicted the usual humdrum Margam illumined by scores of motifs and metaphors of Indian birds! Thus, following the popular portraits of Mayura Nritya in Rasachari, Mayil Attam and Balahari Nata, Rama launched a full-fledged Mayura Alarippu, with each adavu marked with crystal clear peacock motifs. It was visually absolutely stunning. Vrikshanjali, her group presentation as an abhinaya item, came next in the colorful form of an ode to the trees. The accompanying Sanskrit song was a translated version by Divyanand Jha from an original Tamil poem composed by Rama herself. Divya Prabandham was another captivating solo by Rama, visualizing nayika's intimate moments, in turn with a cuckoo, a parakeet and an eagle. The finale was a group Tillana, called Flight of Freedom depicting various movement patterns of flying birds in their migratory routes. All kudos are due to Rama and Arshiya for giving the classical Margam such an enchanting interpretation! On the second day, the evening began with two jugalbandis between a classical dance-duo. The first to take the floor were Samrat Dutta (in Bharatanatyam), an able disciple of Thankamani Kutty and later groomed by Prof. CV. 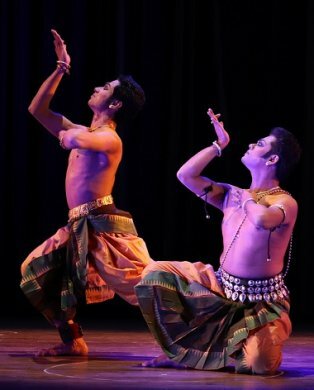 Chandrasekhar; and Subikash Mukherjee (in Odissi), a prominent dancer trained by gurus Giridhari Nayak, Kelucharan and Kumkum Mohanty. They presented an imaginative Pallavi based on the anthem Vande Mataram in raga Desh, followed by an abhinaya Jai Mahadeva Maheswara... in ragamalika and talamalika. Both were true to their forms and very pleasant to the eye, with Subikash Mukherjee perhaps having an edge over the other. The second jugalbandi was between Ramyani Roy in Kathakali and Bartha Biswas in Mohiniattam. 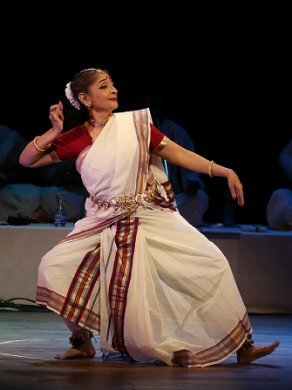 While Ramyani was trained first by Mamata Shankar, before being initiated into classical dances by Kalamandalam Venkit and Preetha Venkit, apart from her studies in Rabindra Bhararti University, Bartha was trained by Mom Ganguly (a disciple of Bharati Shivaji). They executed Vantta Prem Vilas, based on Tagore's Brijbhasha book of verses Bhanu Singher Padavali and composed by the Centre for Mohiniattam. Sadly, the item did not work out well, and while Bartha was barely adequate, Ramyani should pay more attention to her avoirdupois than she had done so far in order to be effectively expressive. 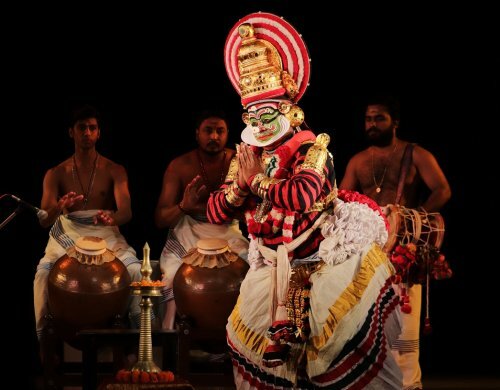 Also, Kathakali (and for that matter Mohiniattam) are ethereal arts bringing their characters from "there and then" to "here and now", and they must both practice to look askance at each other, and not indulge in open-eyed stares! The grand finale was Kutiyattam showcased by the eminent dancer Ammanur Rajaneesh Chakyar, in the item Kailasodharanam. Beautifully accompanied by Kalmandalam Ravi and Kalamandalam Vijay on mizhavu, Kalmandalam Sudheesh on edakka, Mohan Iyer on thalam and Kalmandalam Nikhil on chutti, Rajaneesh executed a very elaborate abhinaya on Ravana returning on his Pushpak Ratha (consistently translated by the compere as aircraft, instead of the correct term flying chariot) from the heavens; finding Mount Kailasa - Shiva's abode - as an obstacle to his flying path, expending an enormous effort to remove it and heaving the final sigh of relief. The very well-executed abhinaya was duly greeted by the viewers as truly great. But one gnawing problem remained: was it true Kutiyattam, the vintage Sanskrit theatre as announced, and not 'Chakyar Koothu' (which Rajaneesh's legendary grand-uncle Ammanur Madhava Chakyar - together with Mani Madhava Chakyar -- had propagated all his illustrious life and must have taught his grand-nephew)? 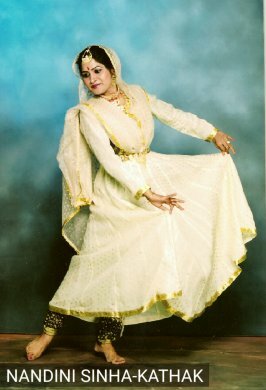 After all, Kutiyattam, as practiced by Natanakairali and elsewhere, has a pronounced vachik element, with either Ramayana Sankshepam or other Sanskrit texts recited either by the dancer/s themselves or recited sonorously alongside the dance, as seen in the performances by the noted Kapila Venu and others. There was no vachik here and no explanation was offered either. 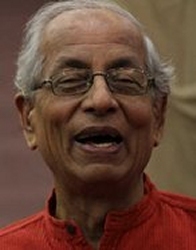 Dr. Utpal K Banerjee is a scholar-commentator on performing arts over last four decades. He has authored 23 books on Indian art and culture, and 10 on Tagore studies. He served IGNCA as National Project Director, was a Tagore Research Scholar and is recipient of Padma Shri.